Are you counting down the days until Winter Break? My students are wiggly with anticipation of vacation and the holidays. How to keep teaching? 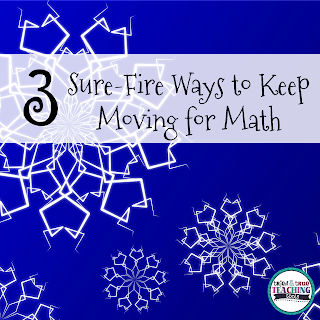 Here are 3 sure-fire ways to keep kids moving for math! 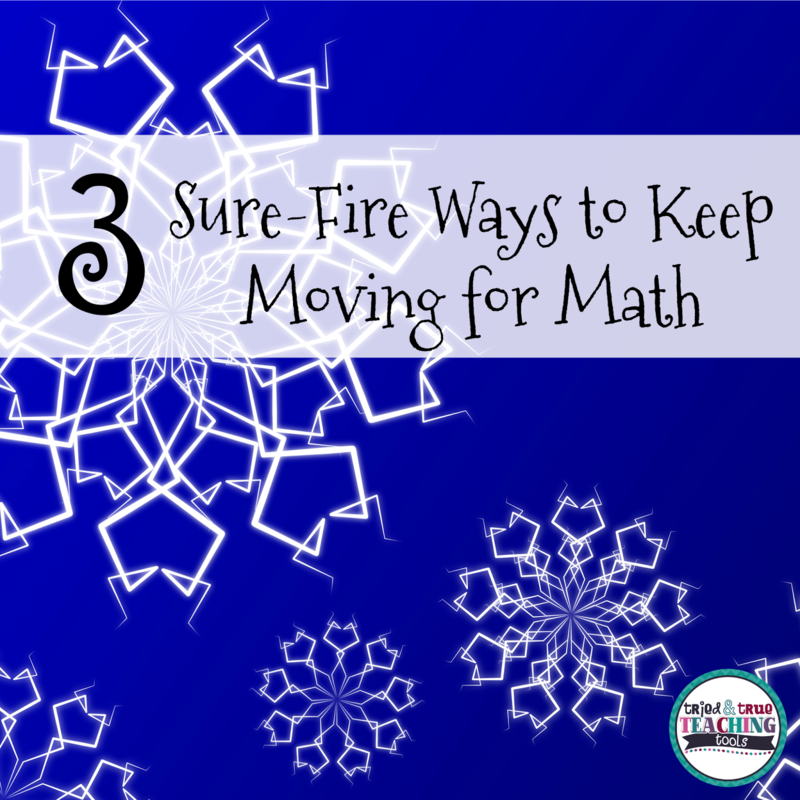 My kids LOVE to get up & moving, while reviewing math skills such as place value, addition, subtraction, multiplication, and division with my Winter Math Gallery Walk! Even though my students are still working, they don’t seem to mind if it’s a Gallery Walk! Post cards around the room, spaced out enough so students do not bump into each other. Students solve each task card in their math notebooks or on a separate piece of paper (they may assist each other, therefore, reinforcing concepts). Set a timer for 5 minutes (or gauge your class’ needs), then everyone rotates to the next task card (decide on traffic pattern), even if they are not finished. Great for reviewing multi-digit multiplication and long division, this Winter Multiplication & Division Scavenger Hunt is designed to get students up & moving while practicing! Works well with partners or individually. Scavenger hunt format is self-checking and encourages interaction. Number Operations I Have, Who Has is an interactive, fun game to reinforce basic number operations using mental math. This is a fast-paced review that my students beg to play repeatedly! I hope these tried & true teaching tools help your students stay engaged, while practicing math! Click on the buttons below for more terrific teaching ideas! 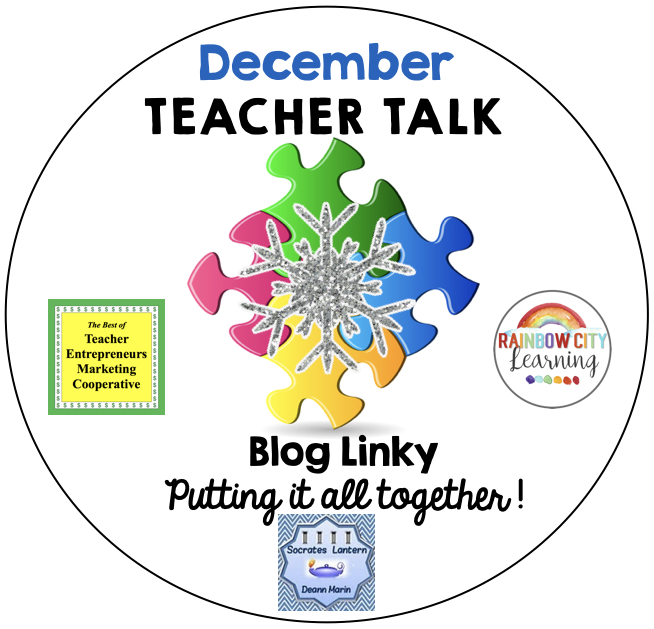 Love the gallery walk idea! I love these wonderful ideas. Thank you for sharing. Fabulous ideas for getting kids moving and thinking!